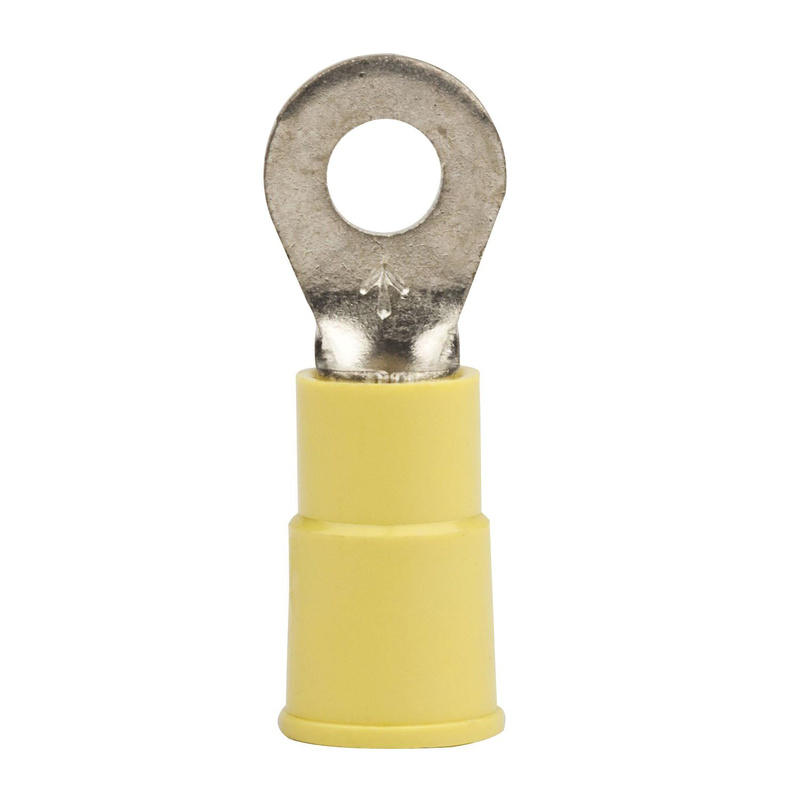 3M Highland™ Standard ring terminal in yellow color, accommodates wire of size 12 - 10-AWG. This 0.38-Inch wide tang terminal features copper construction and tin-plated finish. It withstands voltage rating of 600-Volts for building wire and 1000-Volts for signs, fixtures or luminaries. Terminal has stud of size 10. Vinyl insulation terminal has funnel design that offers easy insertion of wires. It has 0.25-Inch OD and 0.25-Inch long butted seam barrel that offers optimum performance. It measures 1.03-Inch x 0.38-Inch x 0.04-Inch. It withstands temperature rating of -40 to 105 deg C. It is suitable for use in terminal block. Ring terminal is UL listed, CSA certified and RoHS compliant.